The Suspect. For those who like reading books on murder. WITH THE SOUND of her heart pounding loudly in her ears, Rose Callaly drove as quickly as she could in the direction of her daughter’s home. Gripping the steering wheel tightly, she did her best to calm herself down by going through all of the logical reasons why Rachel O’Reilly might not be answering her telephone. Maybe she was out shopping or visiting a friend and had left her mobile at home by mistake, maybe there was a fault with the line, maybe … Rose shook her head and decided to concentrate on the road instead; it was safer that way. Thankfully trafﬁc was good and within 20 minutes she was parking in the driveway of her daughter’s bungalow, which lay nestled in the picturesque countryside of north Dublin. As she pulled up beside Rachel’s Renault Scenic, which was parked in the same spot she always left it, Rose’s sense of foreboding deepened. If her daughter was at home, why had she not answered the landline or acknowledged any of the many worried messages her family had left for her? Ever since being told that her daughter had failed to pick up her youngest son, Adam, from the crèche earlier that morning, Rose knew from somewhere deep down that something was wrong. But now was not the time to panic; she had to ﬁnd Rachel. As she turned off the engine of her car, two dogs her daughter was looking after began to jump and bark. Already in a rush to get into the house, she was irritated by the thoughts of trying to stop them following her. As it was, she needn’t have worried—something was already stopping the dogs from entering the house. Walking quickly to the back patio doors of the house, the entrance the family always used, Rose was surprised to ﬁnd them both wide open. She was even more surprised when she saw that the curtains in the kitchen were drawn, something Rachel would never allow happen during the day. She entered and swiftly scanned the room and although paying little attention, as she was intent on locating Rachel, she did notice there were several items strewn around the ﬂoor. She would later recall that she felt ‘someone had taken and actually placed them there.’ She also spotted that the kitchen tap was running but did not stop to turn it off. ‘Rachel, Rachel, where are you love?’ Rose called as she walked into the utility room. There was no sign of her daughter in the small area where the washing machine was kept, so she crossed over into the hallway. Turning to her left, she checked the sitting room; it was a mess, dozens of CDs and DVDs lay strewn on the ﬂoor. What had happened? Where was Rachel? Rose began to call louder. ‘Rachel, Rachel are you alright? Answer me love. Hurrying down the narrow corridor towards the bedrooms, the anxiousness she had been feeling was slowly turning into something more sinister, it was now closer to terror. Over and over again she called her daughter’s name, and reaching the end of the hallway she looked ﬁrst into the bedroom on the right that her two grandsons, Luke and Adam, shared. Everything appeared to be normal and so she turned around to face the room where her daughter slept with her husband Joe. Her eyes were almost immediately and reluctantly drawn to the ﬂoor. Blessing herself, she let out a small cry. There, lying motionless on the light coloured carpet of the room was the body of her daughter, Rachel. Her hair, which was obscuring her face, was matted with something thick, sticky and dark. It took Rose several moments to realise it was blood. She forced herself to look closer, it was clear that Rachel had suffered some kind of horriﬁc injury to her head. In fact, the wounds to her skull had bled so badly that Rose could not even tell if her daughter’s face was lying sideways or straight down on the carpet. There was a large pool of blood under her head; it was thick and congealed and as Rose knelt there, beside her daughter’s body, she found herself thinking it was the very same colour as beetroot. As she scanned Rachel’s body for any signs of life, she noticed her torso was twisted as though she had fallen awkwardly. Her left arm was out-stretched, almost like she was reaching for something. As she pleaded with her daughter to open her eyes, Rose rubbed Rachel’s arms, in the vain hope that it might help wake her. Rachel’s skin was like marble. Distraught, almost bordering on hysterical, Rose bent over the lifeless body and continued talking to Rachel, reassuring her daughter that everything was going to be OK and that help was on its way. But Rose knew it was already too late. The murder of Rachel O’Reilly—a popular, vivacious, 30-year-old mother of two—prompted one of the most high proﬁle garda investigations Ireland has ever witnessed. At ﬁrst the horriﬁc crime was believed to have been the work of a startled burglar, but soon the spotlight had fallen ﬁrmly on the victim’s husband, Joe, a 32- year-old advertising executive. Although he worked hard at playing the part of a grieving widower, begging the public for their assistance to catch his beloved wife’s killer; it became clear that all was not what it seemed with the 6ft 5in Dubliner. Family and friends of Rachel’s later told how they ﬁrst began to notice his odd behaviour at her funeral, where he made several of them uncomfortable with the strange nature of his macabre conversations. The public ﬁrst became aware of bad feeling between Joe and Rachel’s family, the Callalys, during an appearance on The Late Late Show three weeks after Rachel’s death when it was claimed that Rose was openly cold towards her son-in-law. And some viewers believed Joe seemed to be taking his wife’s death much too easily in his stride. It was then revealed that Joe, contrary to the impression he had given in several newspaper interviews, had been far from a devoted husband. In fact, he had been cheating on Rachel for some time with former work colleague, Nikki Pelley. The media, already gripped by the investigation of the shocking and brutal murder of an ordinary housewife in the bedroom of her own home, were now utterly enthralled. In fact, it proved to be one of the most intense, publicised and most talked about murder cases since the murder of Tom Nevin by his wife Catherine, whom the tabloids nicknamed The Black Widow. Over the next two years hardly a month went by without a story about Rachel’s murder and her husband Joe, a self-professed suspect in the case, appearing on the front page of some national newspaper. Joe’s face became instantly recognisable, as did his wife’s. The circulation of some newspapers were said to have increased by several thousand every time they published a picture of Rachel on their front covers. But regardless of the numerous reports of how gardaí were ‘close to a break through’, and ofﬁcers were conﬁdent of ‘charging a man with the murder within days’, it seemed, at times, as though the case might never be solved. In November 2006, however, it was deemed there was enough evidence to charge Joe with the murder and send him to stand trial before a jury of his peers. The court date was set for June 2007. All anyone could do was wait. 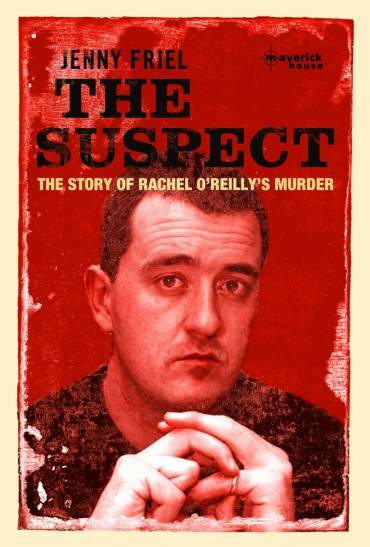 Much of what follows was taken from evidence presented to the Central Criminal Court during the trial of Joe O’Reilly, which resulted in his conviction for the murder of his wife, Rachel. The summer of 2007 will be remembered for two things—the atrocious weather and the trial of Joe O’Reilly. It appeared that everyone in Ireland had an opinion; taxi drivers spoke of little else and in every pub around the country, conversation was dominated by the facts of the case and whether or not Joe would be found guilty. From the day the hearing began on 27 June, almost every word uttered by every witness and every piece of evidence produced was reported by the scores of journalists sent to cover the case from start to ﬁnish. And every day hoards of curious on-lookers arrived at the court, determined to catch a glimpse of Joe, scrutinising his face for any expression of guilt or remorse, analysing his body language to try to get a better idea of the man whose face had become so familiar to them over the previous couple of years. It was to be one of the most emotional and dramatic trials ever witnessed in Ireland, largely due to the nature of the evidence that seemed to be revealed on a daily basis. Seasoned court reporters told how it was like nothing they had every experienced before and spoke in astonishment of the barrage of disturbing testimony that was making it onto the front pages of most newspapers almost every day for a month. And then there was the Callaly family. The sight of Rose, her husband Jimmy and their four remaining children, Declan, Paul, Anne and Anthony arriving at the courts complex each morning, predominantly dressed in black, made an extraordinarily powerful image and one that the public is unlikely to ever forget. United in their grief and their blatant lust for justice for Rachel, they sat in the same positions on the same bench for 21 days, listening intently to every piece of business that went before the court. Although impressively strong and brave throughout some horrendous evidence about the murder of their Rachel, they were clear from the beginning who they believed was responsible for her death. And then there was Joe’s family, the O’Reillys. At ﬁrst, he was accompanied by just his mother Ann, who arrived at court at the same time every day to sit on the very last bench of the courtroom. For three weeks it was just the two of them, arriving together, going for lunch together, and going home together at the end of another exhausting day. During the last week, they were joined by Joe’s older brother Derek, and on the very last day, the day of the verdict, his sister Ann was also present, to hold her mother’s hand as the jury told the courtroom of their decision. But it was not only the families or those directly involved who fervently waited for a conclusion to this remarkable trial. People told later of how they were on holiday on the continent when the verdict was ﬁnally delivered. And how cheers rang out through apartment blocks and poolside areas as the word of the result quickly spread. Others related how wedding receptions around Ireland were interrupted to share the news that the Joe O’Reilly trial was ﬁnally over. It is hard to pinpoint exactly why the murder trial attracted almost an insatiable level of interest for so long—but there are many theories. First of all the murder of an innocent young mum, killed in the relative safety of her own bedroom after dropping her children off to school, without any apparent motive, is always something that will capture our attention as it sends an involuntary shiver down our spines. There was also the brutal nature of the murder itself—the victim was battered to death over the head with a ‘heavy blunt instrument’. It was almost too gruesome to comprehend. And when rumours began to circulate of the possible involvement of her husband, the public’s interest was piqued even further because Joe and Rachel appeared to the outside world to be a perfectly, if not enviably, happy young couple, with two gorgeous boys, a house they had dreamed of, a battalion of loyal friends and loving families on both sides to help and support them. And maybe it was because Joe was described by most people who actually knew him or met him as a pretty unremarkable kind of guy, friendly and articulate. I met him several times over ten months or so, and thought him to be a nice man, the kind of person who liked to be liked. Friends and those who socialized with him believed him to be unfailingly kind, considerate, if not sweet, and though they may have been aware the couple had experienced problems, well, what couple doesn’t? But probably the most enthralling thing about the O’Reillys was that they were ordinary and utterly normal. They lived in an ordinary, close-knit area that had never experienced something of this nature before. They held down ordinary jobs and, although by no means wealthy, they were ﬁnancially stable and were able to afford the kind of luxuries a lot of us take for granted these days; two cars, the odd foreign holiday as well as savings for a decent education for their children. In fact, this was a couple that could have lived beside any of us, who could have been our friends, or who could have been our brother, our sister, our son or our daughter. It was their apparent ordinariness that set them apart and is what made Joe’s inexplicable and heinous crime all the more difﬁcult to fathom. Why didn’t he just take care of his problem, the fact that he obviously no longer wanted to be married to Rachel, in the same way most, if not all, of us would have? Why did he not ﬁle for divorce or separate? Why did he meticulously plan and then carry out the brutal killing of the mother of his two little boys? We will probably never know for sure. All we do know is that Joe thought he had gotten away with it; he thought he had been clever and devious enough to carry out the perfect murder.